In Jerome Charyn’s last book I AM ABRAHAM the author presents an unforgettable portrait of Lincoln and the Civil War. He boldly narrates his story in the first person and mixes his brand of humor with Shakespearean like tragedy. In his current effort Charyn takes on the character of Theodore Roosevelt, entitled, THE PERILOUS ADVENTURES OF THE COWBOY KING: A NOVEL OF TEDDY ROOSEVELT AND HIS TIMES. As he has done in the past, Charyn speaks in the first person beginning with Roosevelt’s relationship with his father, “Braveheart” as a boy during the Civil War and follows his career as an Assemblyman in the New York State legislature, serving as New York City Police Commissioner and Governor of New York, organizing the Rough Riders, to the precipice of the presidency. As in most of his books when he resorts to a first-person narrative, Charyn possess the uncanny ability to get inside the mind of his protagonist and speak in very accurate historical terms, adding a dash of humor and sarcasm, in conjunction with an exceptional imagination. Charyn’s first book was published in 1964 and he has not lost any of his verve for writing, particularly entertaining, but meaningful historical fiction. There are numerous biographies of Theodore Roosevelt ranging from Edmund Morris’ trilogy, single volumes by H.W. Brands, Kathleen Dalton, David McCulloch, and of course Roosevelt’s autobiography. Reading a novel about Roosevelt is like riding an unbroken horse. It usually proceeds at a gallop, then a canter, resulting in a full sprint. Numerous characters appear, and thankfully Charyn has prepared a “Dramatis Personae” at the outset delineating all the major and secondary characters with a brief sentence or two for each. This is a great tool for the general reader who is not familiar with the Jay Gould’s, Roscoe Conklin’s, Dr. Leonard Wood, William Winters-White, Boss Thomas Platt, J.P. Morgan, Buffalo Bill Cody, and Josephine, Roosevelt’s pet cougar among the many historical figures that are recreated that appear in rapid-fire fashion throughout the novel. The Roosevelt family is accurately portrayed, particularly the roles of Bamie, his sister who became his mother, overseer, and confidante after the deaths of his mother and young wife Alice. Whether it is conversations within the Roosevelt family or “Robber Barons,” political hacks, or other important historical figures Charyn’s dialogue and commentary reflect the author’s knack of gaining entrance into Roosevelt’s thought process. 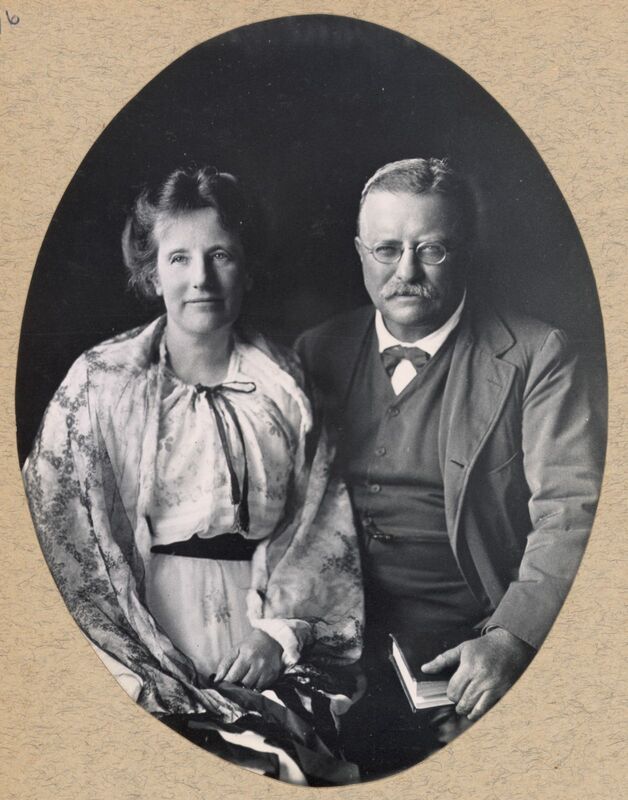 It seems as if the author has obtained an intimacy with Roosevelt’s mind that allows the reader to feel as if he is in a private conversation with “Teddy.” The reader can touch Roosevelt’s emotional pain as his beloved Alice and mother pass away the same night or the reemergence of his relationship with his childhood friend Edith Carow who he goes on to marry. The emotional torture Roosevelt deals with as he must decide to forgo widowhood as its implications for his sister Bamie and his daughter Baby Alice is on full display and is indicative of Charyn’s ability to present the emotional torture that Roosevelt experiences, but at the same time exhibit the talent to describe it in a sensitive and meaningful manner. Charyn is correct that Roosevelt was never without a cause, and once he was committed it was full speed ahead be it the corruption he dealt with as New York Police Commissioner, trying to push the United States into war with Spain as Undersecretary of the Navy, or his formation and financing of the Rough Riders for the war over Cuba. In all these situations Charyn’s descriptions, scene recreation and dialogue are priceless as Roosevelt confronts the corrupt Pinkertons as Police Commissioner, his approach to training men for war, and the Battle for Kettle and San Juan Hills during the Spanish-American War. Charyn’s Roosevelt is an obstreperous, emotional, and generous person who cared about those stricken by poverty, his soldiers, and it seemed anyone down on their luck. We gain insights into the family man and his softer side. However, this is not a hagiographical approach to fiction as Roosevelt’s flaws are readily apparent from his temper, racism, and intolerance for those who opposed him. Overall, an entertaining read and a remarkable success as it could not have been easy writing a fictional account of a man whose actual life fostered so many examples that seem made up.